I've got two nail designs to show you today! One was done on my own nails and the other was on my friend's. 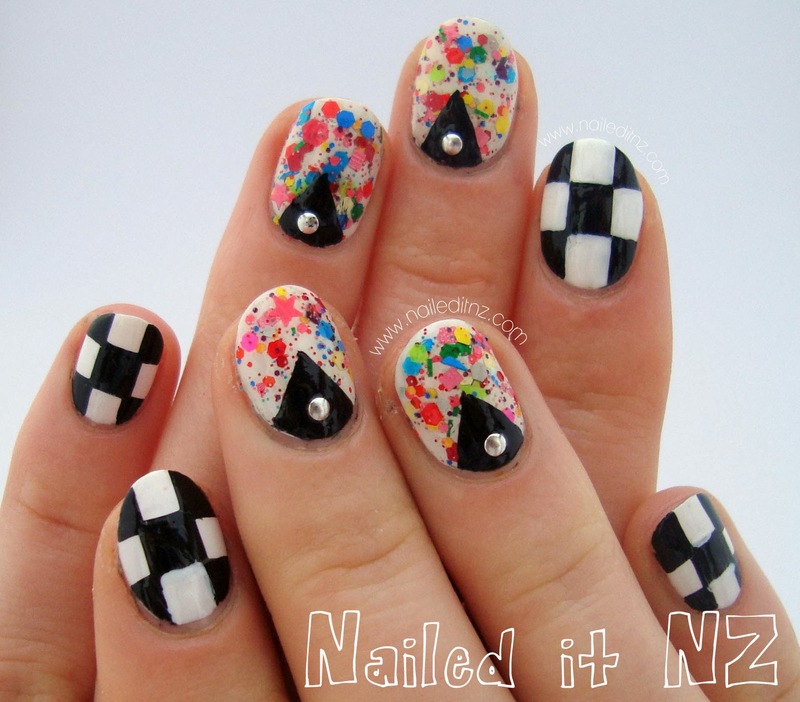 I used studs from Born Pretty Store to glam these up a bit. There are so many studs in this pack, and they come in both gold and silver! 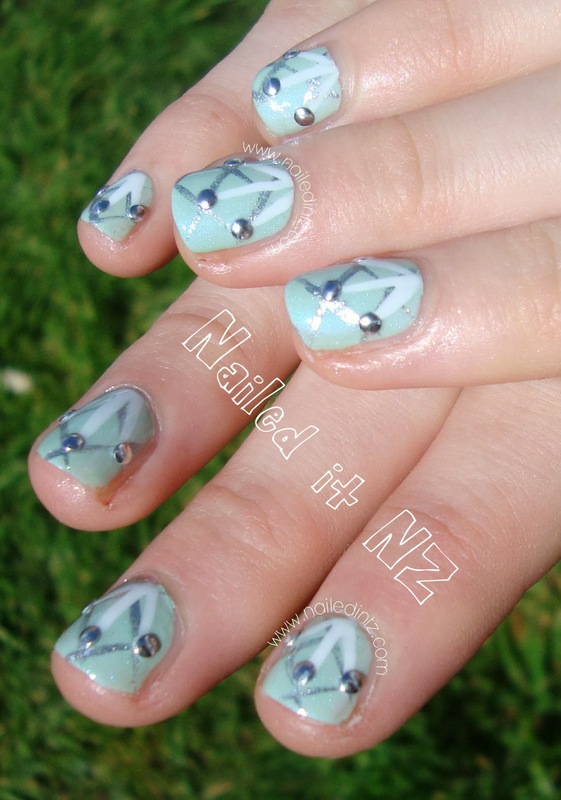 This pale green design was done to match my friend's outfit! Unfortunately some of the studs came off early - I mustn't have put enough top coat on them. The design is quite subtle and pretty, I think. Ladylike! I like how the criss-crosses in the background aren't that noticeable until you look again. 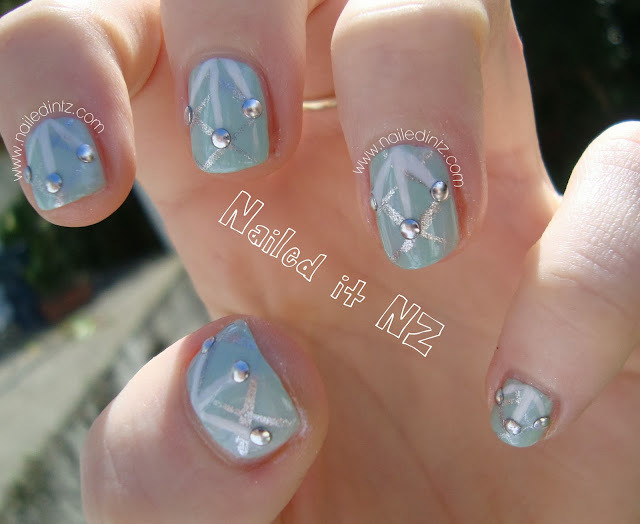 This design I just worked away on at a recent nail addict meet up. 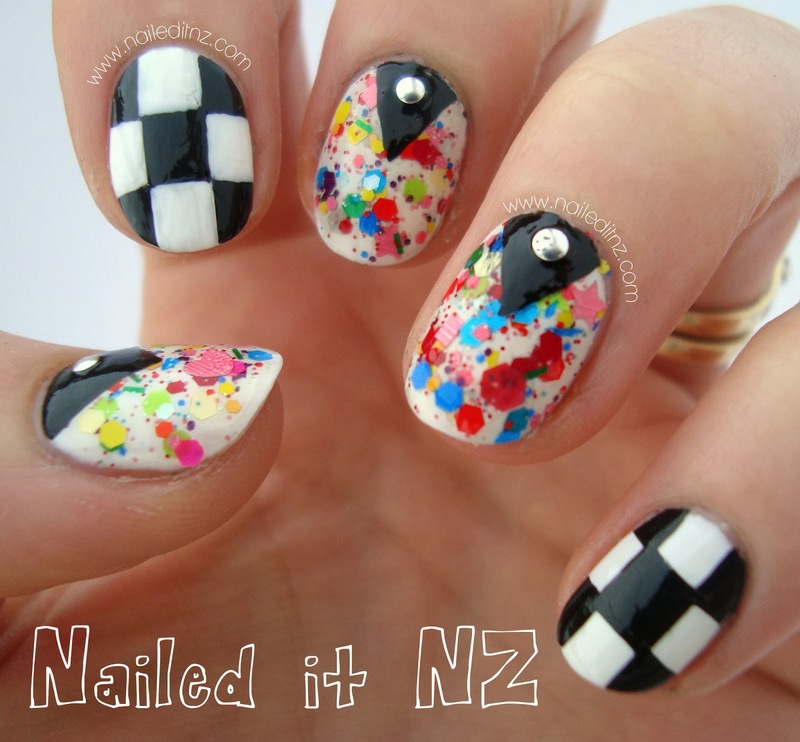 I used Nostalgic Nail Lacquer - Punky Power for that beautiful multi-coloured glitter! It isn't actually my polish, it's Serra's from Peacock Pie. I need to get myself some though! 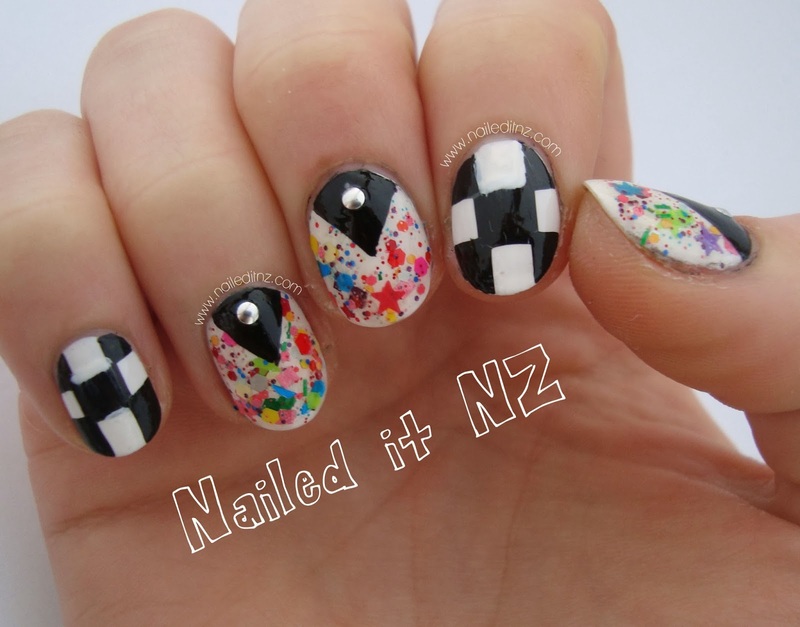 I loved this nail art! One of my favourite recent designs :). 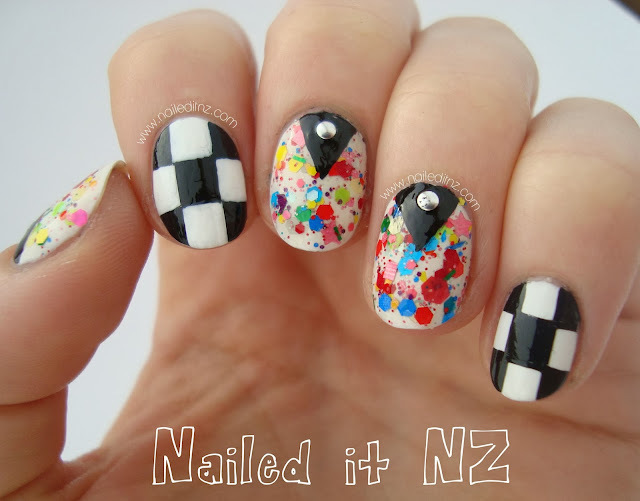 Checkers are now one of my favourite patterns, I need to do them more often! And while I usually avoid half-moon manis, I liked this one and the studs added a lot. You can buy these studs from Born Pretty Store here for $6.99 US (free shipping), If you use my discount code, CEL91 you can get it a bit cheaper ☺.